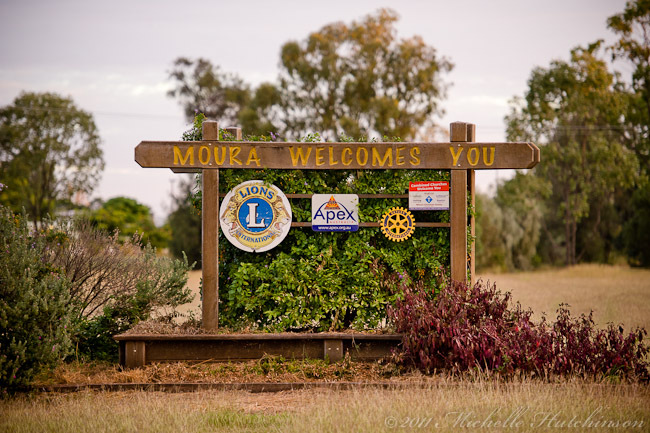 Moura is located in Banana Shire on the Dawson Highway, 180km south-west of Rockhampton or 586 km north-west of Brisbane. Named the Heart of the Dawson Valley', this thriving community is known for its coal mining, cotton processing, wheat and sorghum growing and chemical manufacture. This mixture of activities has ensured that, unlike most coal mining centres in Queensland, the town has not developed as a typical company town for miners. The other major local enterprise is visually broadcast to the surrounding district. Huge grain silos (the second-largest in Queensland) are located at the eastern end of town and can be seen from a considerable distance.